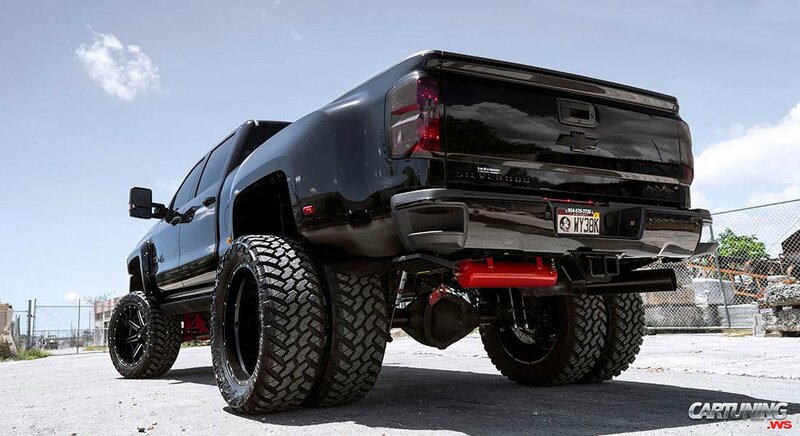 Seriously modified Silverado. Double rear wheels covered by huge fender, off road suspension with lift and else many tuning parts. Some parts can be for cool look, but mostly they help to carry more cargo in places without normal roads, or sometimes even without them.